If you’re in the road construction, mining, construction or agricultural industries, you may often have use for a heavy-duty scraper. 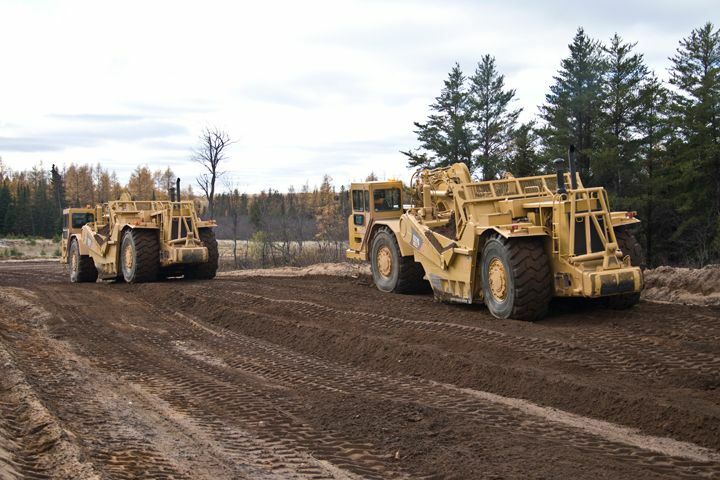 Here at Western States Cat, we have a fleet of Cat® scrapers for rent for all of your temporary, occasional and seasonal needs. It doesn’t matter if you’re renting to replace a broken scraper, try out a specific model for buying or taking on a new project that you’re not equipped for, we have the equipment and rental terms that suit. Our team has more than 60 years of experience as a heavy-duty equipment rental expert and cover the needs of customers across the Western States, including Oregon, Idaho, Wyoming, Eastern Washington and Western Montana. With locations in cities like Pasco, Spokane, Idaho Falls, Jackson, Missoula and Meridian, we’re conveniently located to serve you better. If you’re looking for a scraper to rent, come and check out our selection. • Road Construction: Our Cat Scrapers can be seen making roads safe and accessible for commuters throughout the Midwest. These are just a few of the major uses of high-performance, heavy-duty scrapers. You can rent for short- or long-term depending on the size and duration of your project. All of our rental equipment is serviced and maintained to ensure it’s ready to go. If anything does go wrong, we’re available 24/7 to service your equipment or replace it so you can stay on schedule and under budget. That’s the advantage of working with an industry leader like Western States Cat. We’re proud of our fleet of rental equipment and machines and are sure we have the right scraper for your application. Contact our team today using our online contact form or by phone and we’ll prepare your free quotation. You can also check out the sites for the National Mining Association, the American Farm Bureau Federation or the American Road & Transportation Builders Association for more information on your industry. You can enlarge your network and find valuable resources and ideas on how to make the best use of your heavy-duty equipment.